Our work incorporates a lot of these techniques. opening on the 6th of November and find out which ones we use the most! as well as occasional traces of the wood’s grain. the softness of the material allows for cleaner, freer, and more fluid lines. then soak the entire plate in acid. the paper absorbs the image in reverse. Rembrandt is one of the original masters of this technique. onto a metal plate, which is then inked and printed. this process produces unique editions. which is then produced in reverse when applied to a ground support. meaning glue, and graph, meaning the activity of drawing. 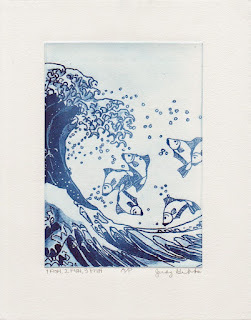 The plate can be intaglio-inked, inked with a roller or paintbrush, or some combination. paper or another material using either a printing press or various hand tools. cut card, leaves and grass can all be used in creating the collagraph plate. between objects, resulting in an intaglio print. A combination of both intaglio and relief methods may also be employed. A printing press may or may not be used. screen printing starts with an ink-blocking stencil applied to a screen. transferring the image to the ground. Look no further than Andy Warhol for iconic examples of the medium. whether by rubbing, tracing, pressing, or any other manual technique. examples of the technique include gravestone rubbings and carbon copies. Opening Reception for our annual exhibit of new work. FREE DRAWING for one of you to win a limited edition of our folio, all 13 originals! a complete set of 13 ORIGINAL limited edition hand pulled prints. All those who enter, but do not win, will also have an option to purchase one of the two additional folios available for sale. Hope to see you and your friends at the opening. Focus On The Masters Event with The Inkspots! 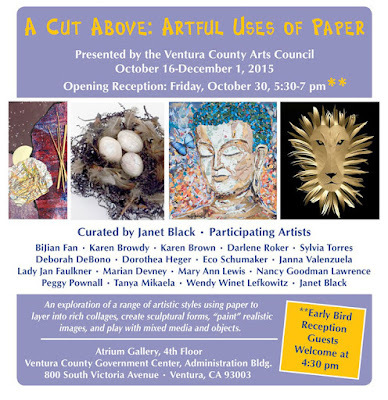 Four Ventura artists interested in printmaking formed the original inkspots group in 2007 by pooling their resources and creating a printmaking studio at the Sea Breeze Gallery in Ventura. The inkspots of San Buenaventura are a group of artists dedicated to creating original prints using a variety of techniques including etching, collagraph, linocut, monoprint, monotype, woodblock, and digital manipulation. Spotlight interviews are free to FOTM Members, $10 for general public, $5 students and seniors. Immediately following the interview guests will gather at 643 A Project Space for the AfterGLOW Fundraising Event. Paid reservations are required for the AfterGLOW: $25 for FOTM members and $35 for non-members. 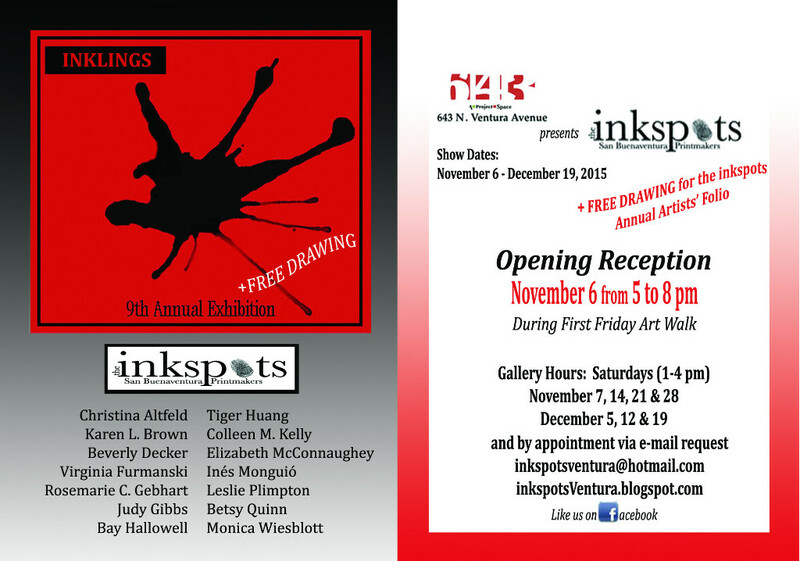 An exhibit of works by inkspots artists will run from November 6 through December 19 at 643 A Project Space. Tickets for both the panel discussion and the AfterGLOW are available online at: www.FocusOnTheMasters.com or by calling 653.2501. Also during the First Friday ArtWalk on Nov.6 the inkspots will have an opening reception from 5:00—8:00 p.m. 643 A Project Space, 643 N. Ventura Ave. Opening Reception at 7:00 p.m.